I can tell already, getting rid of this one is going to hurt. I've bought and sold my fair share of cars at this point, and a good number have been personal builds or cars that I cherish. 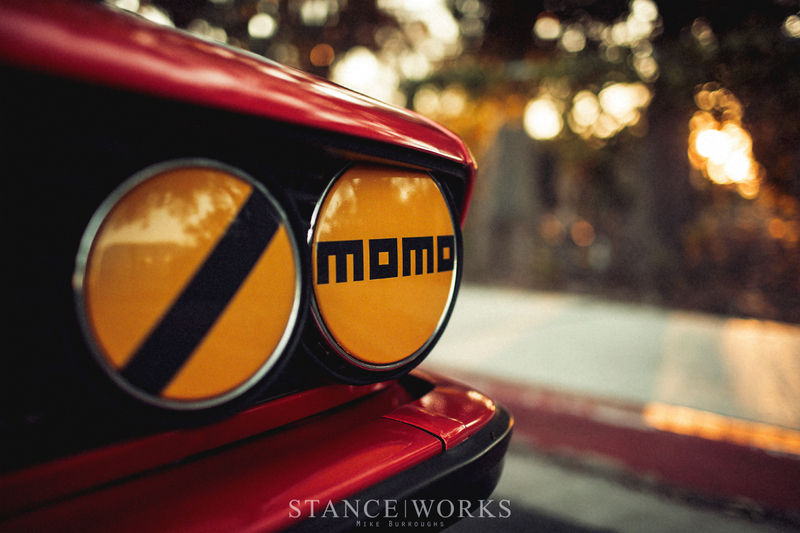 The "Parts Car" as it has been known amongst friends, my Group A tribute build, is no different. 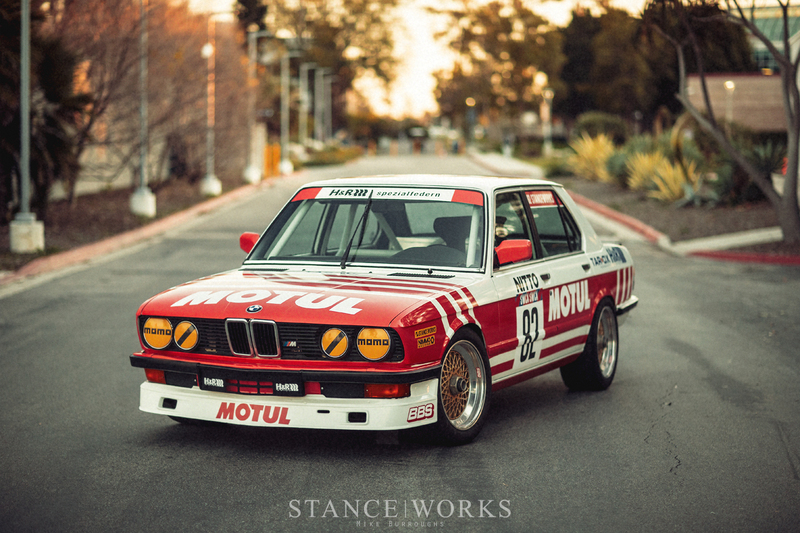 In fact, my girlfriend Emily put it succinctly last night: "it's the most 'you' car you've ever built. In a way, I think she's right. 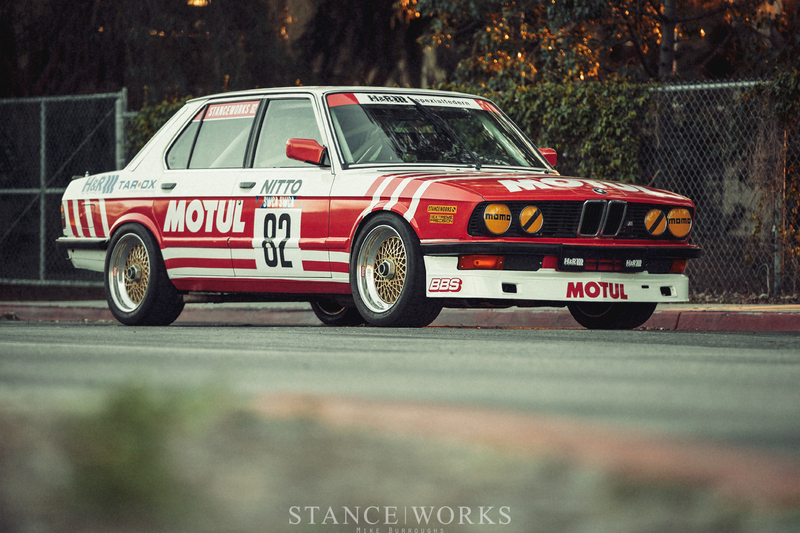 There's something about this car that is definitive of everything I love about cars. So with a heavy heart, I'm here to say, she's for sale. 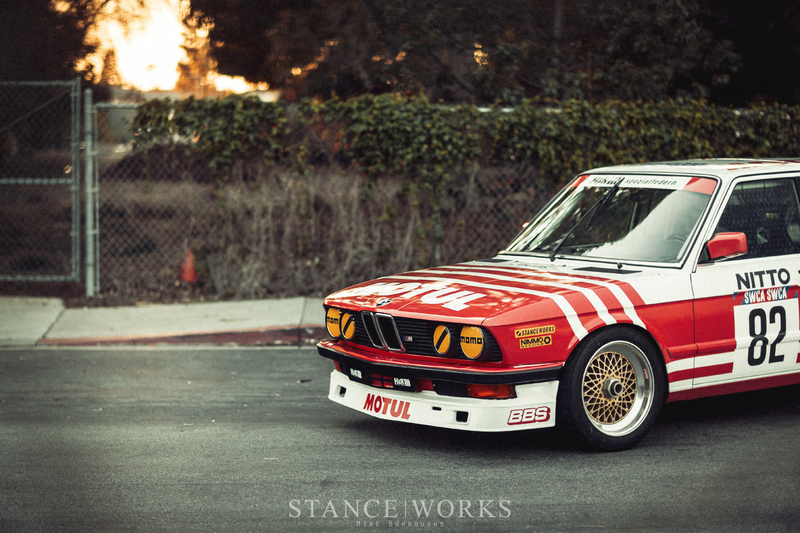 The E28 has long been my favorite car. 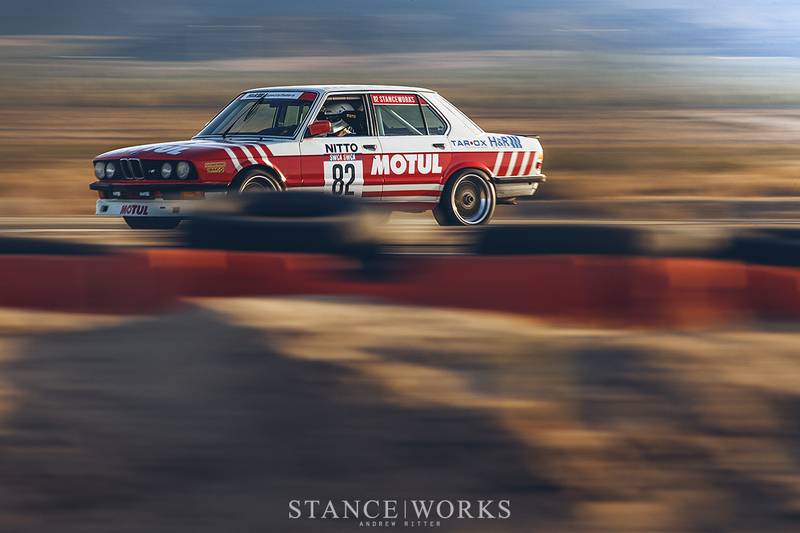 Its easy to choose heavy hitters like the F40, a 935, or even an RS200, but the E28 stands out for me, perhaps in part thanks to its attainability and simple nature. 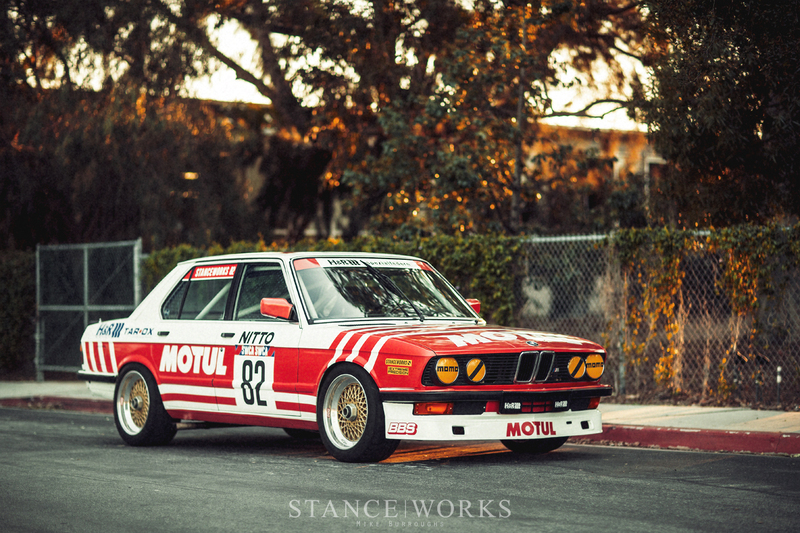 With that, it seemed obvious: build a car to celebrate the E28's little-known touring car history as a European champion. I took a few liberties, here and there, but needless to say I am thrilled with the outcome. 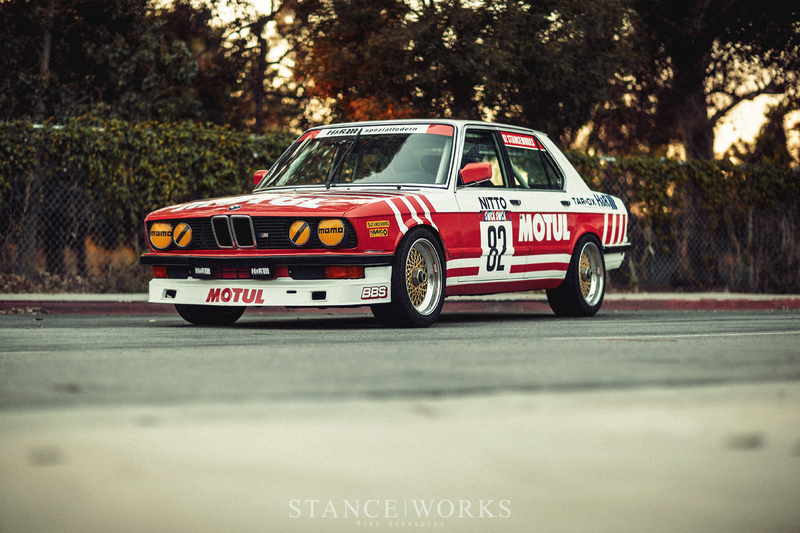 The car began as an '84 533i, but it's now entirely M5 underneath. a 133k mile S38B35 sits under the hood, having received a complete top end rebuild along with all new timing components and a complete gasket set. 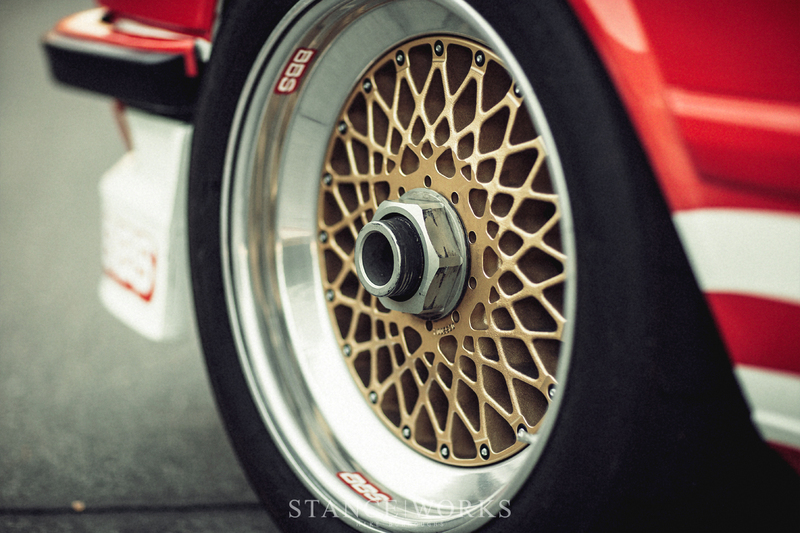 Backing it is a JB Racing 11.5 pound flywheel and a Clutchmasters 6-puck sprung clutch. 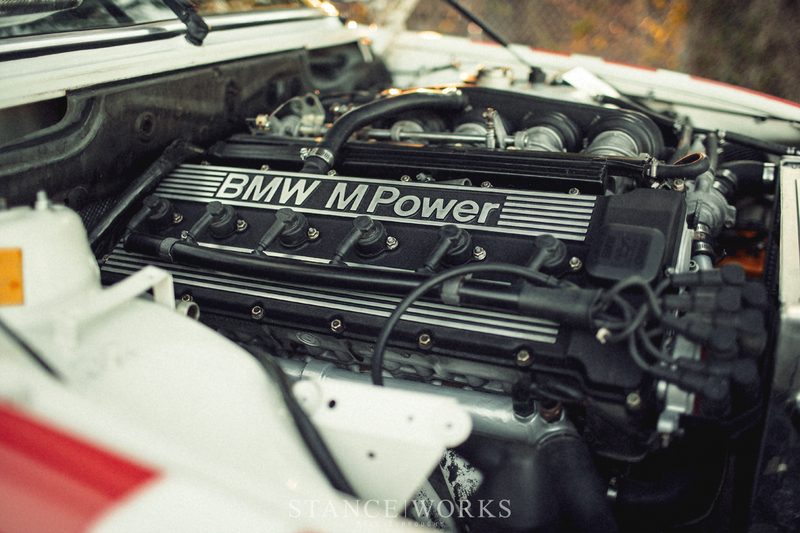 The M5's Getrag G280 shifts perfectly, and power is routed out to a freshly rebuilt E30 M3 medium-case 4.10 LSD differential, with new bearings, clutches, and an extra clutch pack for increased lockup. The engine is stock, aside from Conforti software and a set of European "bundle of snakes" headers and a free-flowing side-exit exhaust. 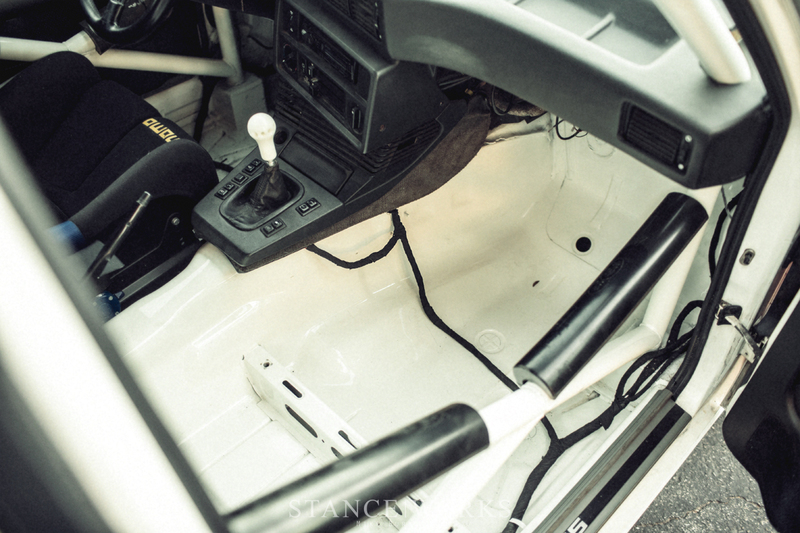 Supporting mods, such as an aluminum E36 M3 radiator and a 16" SPAL fan keep things cool. 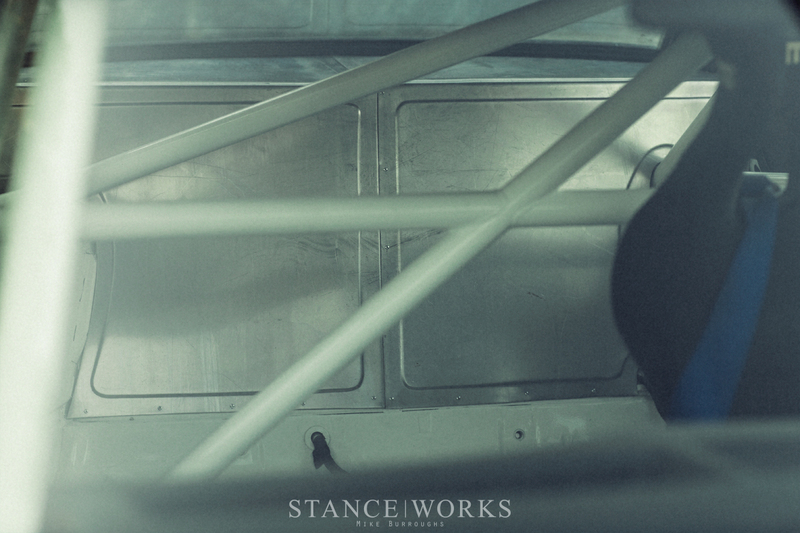 During the build, the car was stripped to its chassis, and the subframes were blasted and powdercoated in factory satin black. 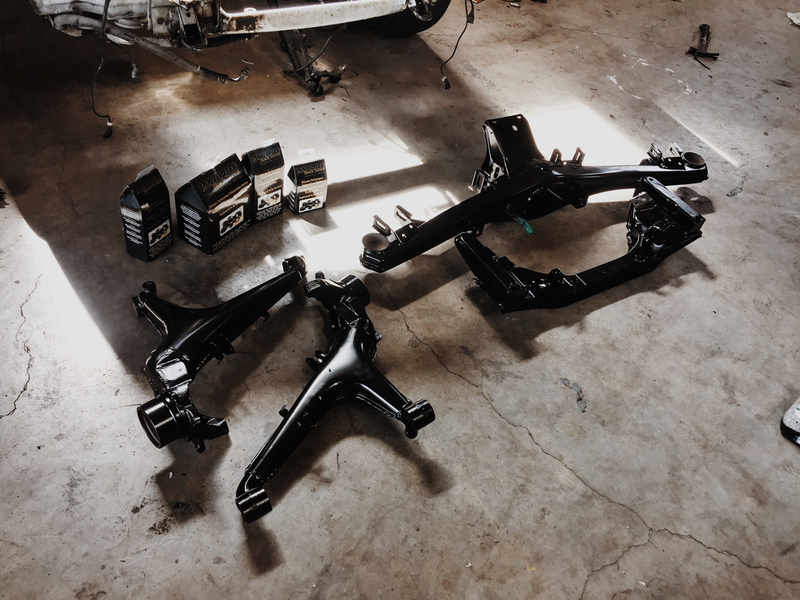 The rear subframe has been fitted with serrated/toothed camber and toe adjusters, and paired with Powerflex black subframe and trailing arm bushings. 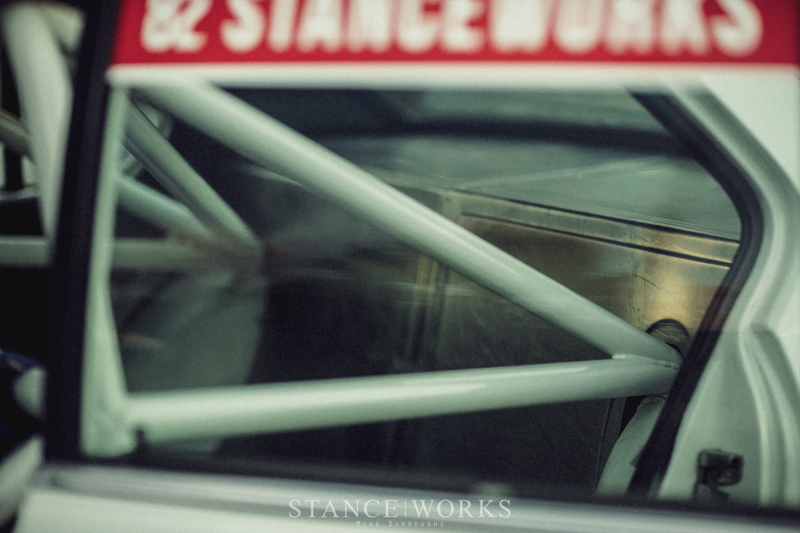 The differential mount has been reinforced, as have the sway bar mounts, front and rear. Every component has been replaced, including the bushings, dog bones, axles, bearings, brakes, etc. Nothing has been left untouched. 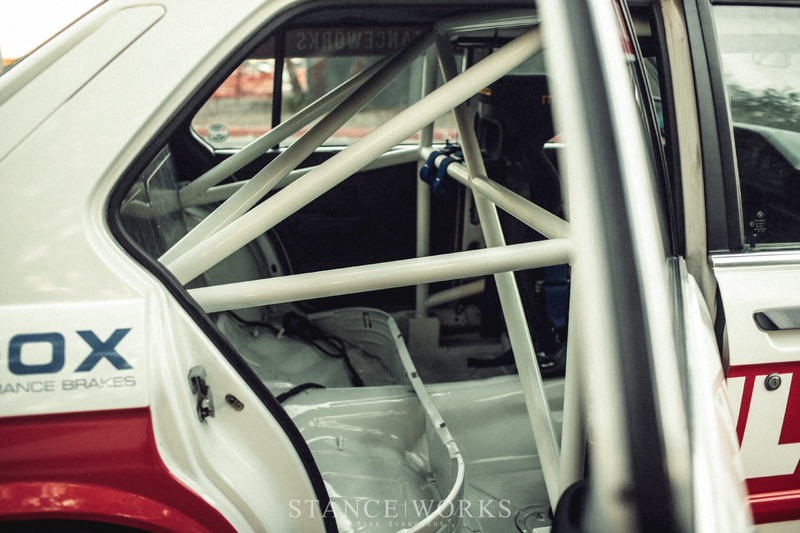 For suspension, the car rides on a set of custom H&R coilovers built and valved specifically for the car. 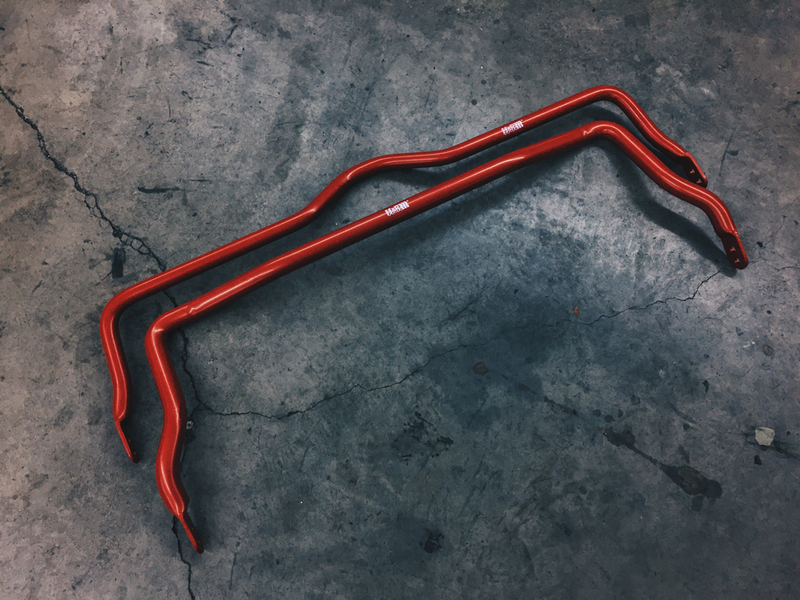 A custom set of H&R sway bars were built for the car as a special one-off set. They measure 30mm front and 25mm rear, and the car also sports a modified 18mm rear bar for more compliance, depending on the use. All of the control arms have been replaced and re-bushed, including E31 aluminum spherical-jointed lower control arms. 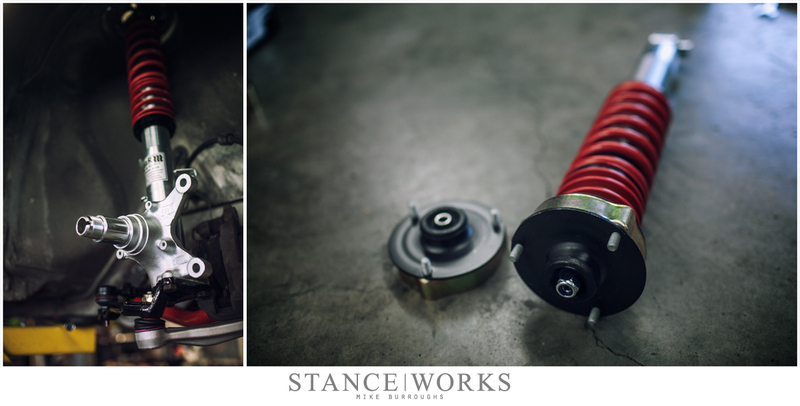 Custom adjustable upper sway bar mounts have been machined and installed to the coilover bodies, and paired with E34 M5 links. The car has E32 750 rear calipers and vented rotors installed in the back as an OEM upgrade. In the front, a set of Tarox 6-piston aluminum calipers and F2000 rotors have been installed and stop on a dime. Tarox Corsa brake pads offer a ton of bite and no squeaking on the street. A new master cylinder has been installed, and Motul fluid used throughout. 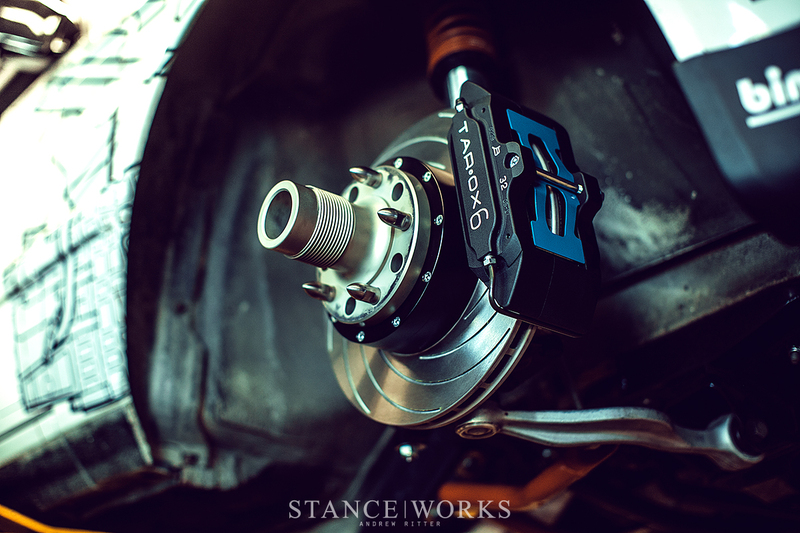 Custom centerlock hubs were designed and machined, using original E28 Gr. 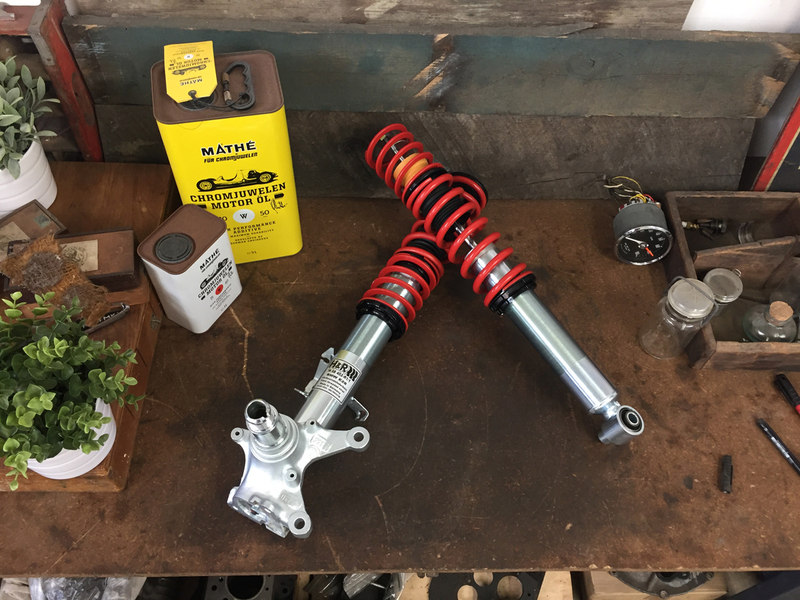 A FIA Homologation papers and an acquired old Motorsport hub assembly, yielding perfect factory copies of the original BMW/Eggenberger parts. 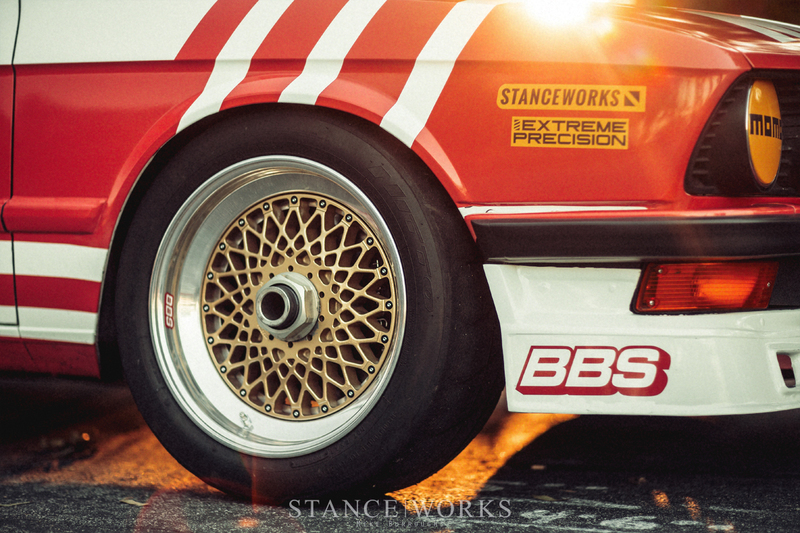 They are mated to a brand new set of BBS E55 centerlock wheels, built for the car in 2017. 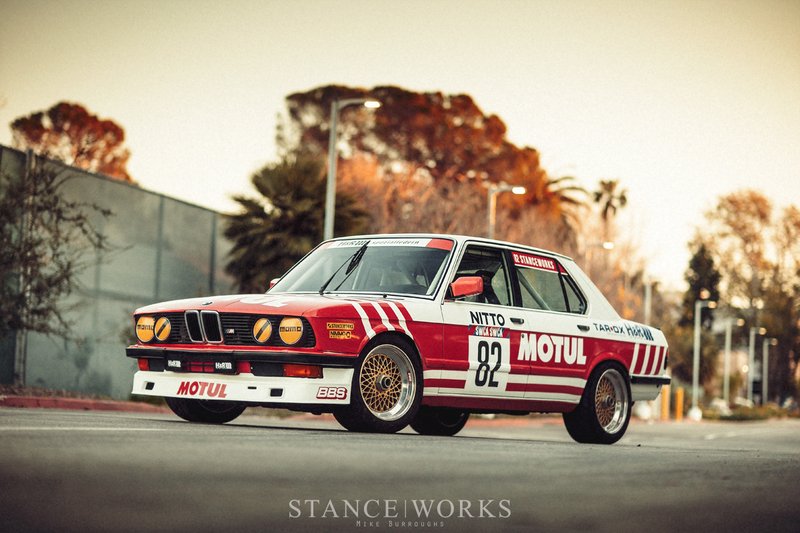 The wheels measure 17x9 square, and wear a set of 245/45/17 Nitto NT01 R Comp tires. 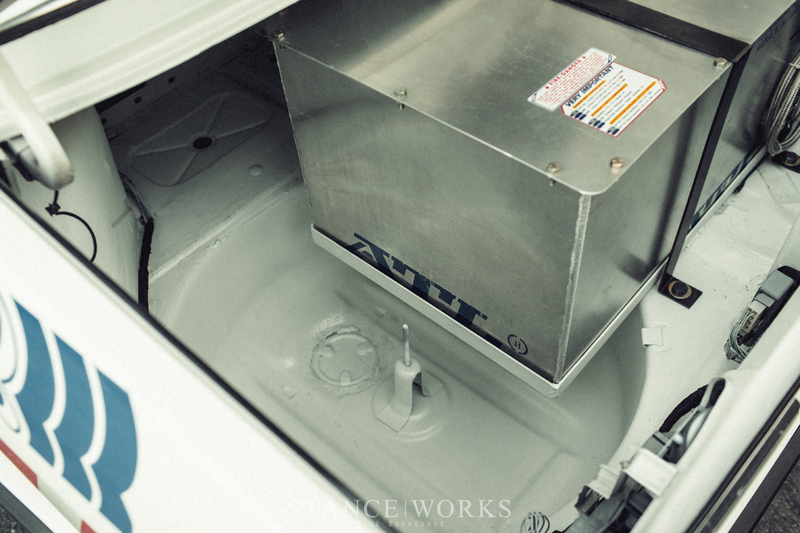 An ATL 120-liter/32 Gallon fuel cell is perched in the trunk, utilizing the same mount location as the original Group A cars, and the fuel cell size is to '85 Gr. 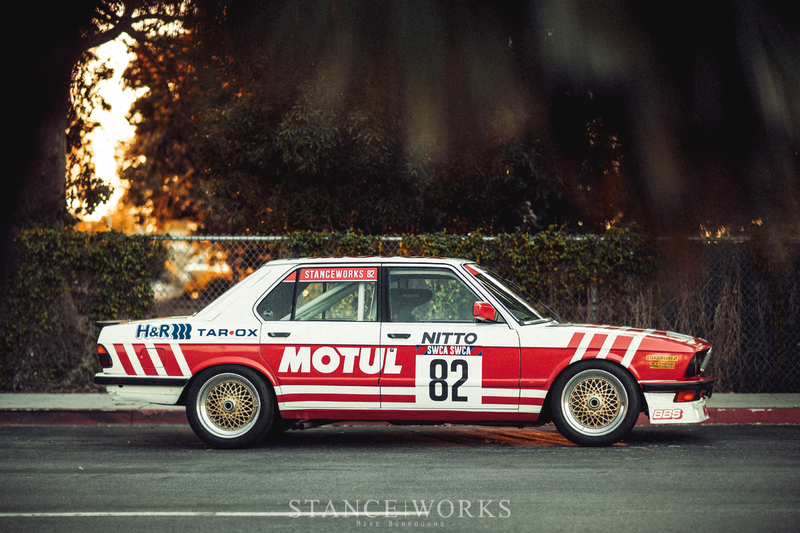 A endurance/touring spec. An 3-liter swirl pot/surge tank is mounted internally, and is fed by a Holley lift pump, which supplies a Bosch 044 inline high pressure pump. 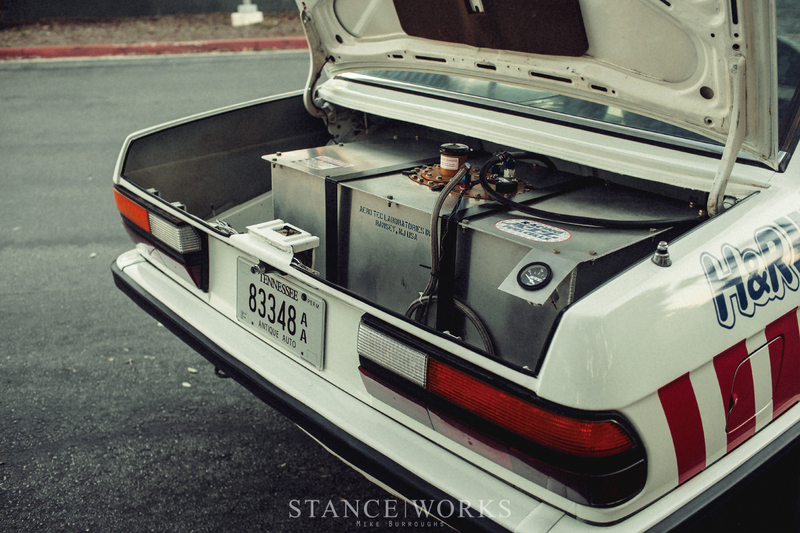 A custom aluminum rear bulkhead separates the trunk from the passenger compartment. 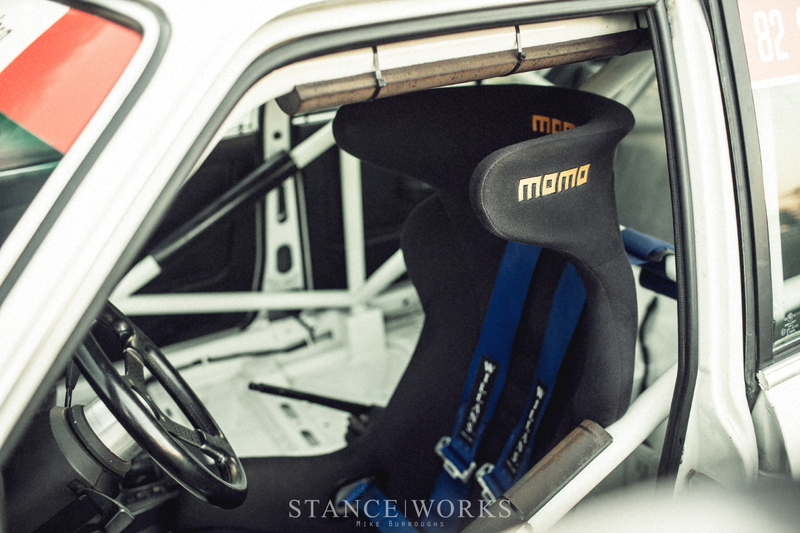 A NASA-legal roll cage has been built to spec, following the 1985 Group A FIA rulebook, making it accurate to the era. 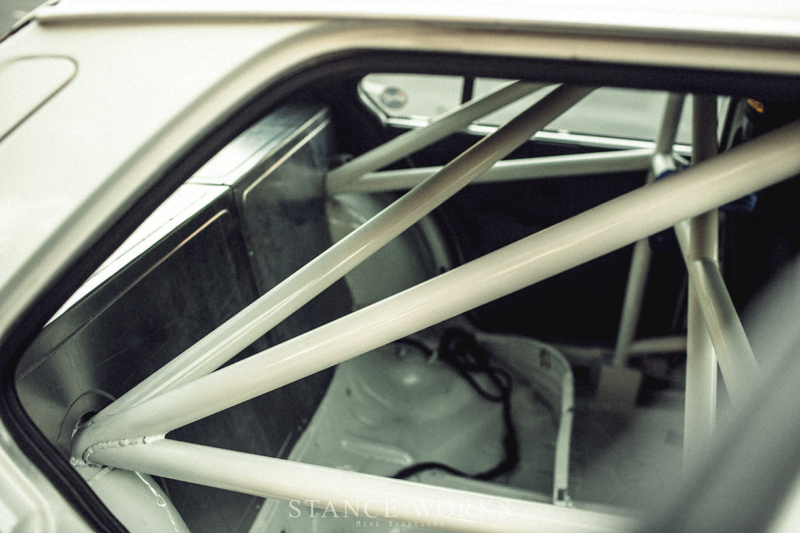 It's built from 1.75" .120-wall DOM tubing, and is a 6-point cage. 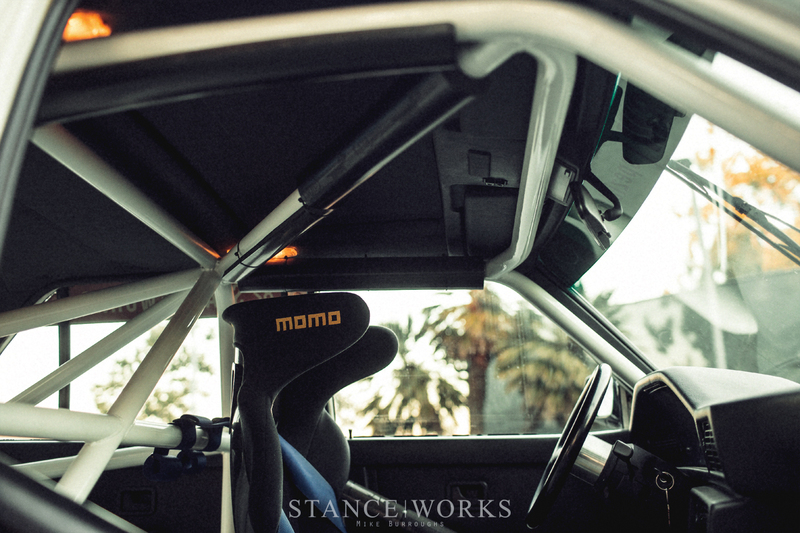 A Momo Daytona fixed back seat sits atop a slider and VAC Motorsport machined mounts. 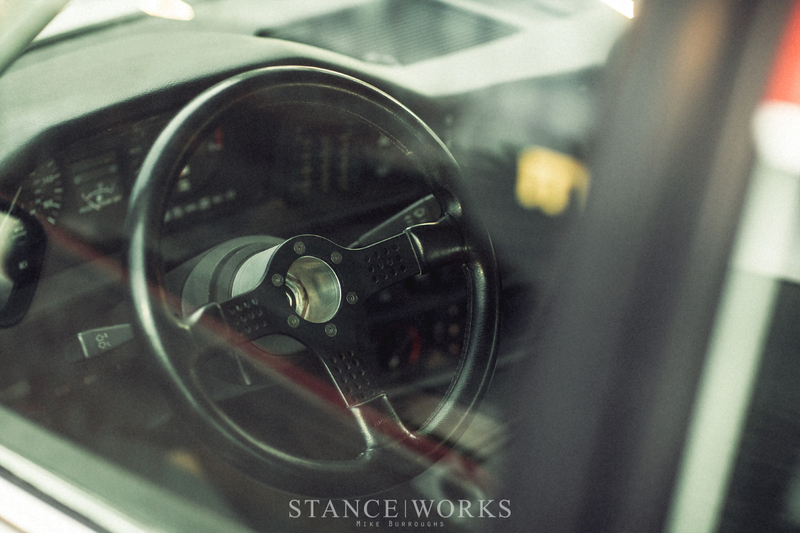 A classic blue Willains 6-point harness holds the driver in, and a Momo Futura steering wheel and Rennstall RSKT2 Delrin knob offer feedback. 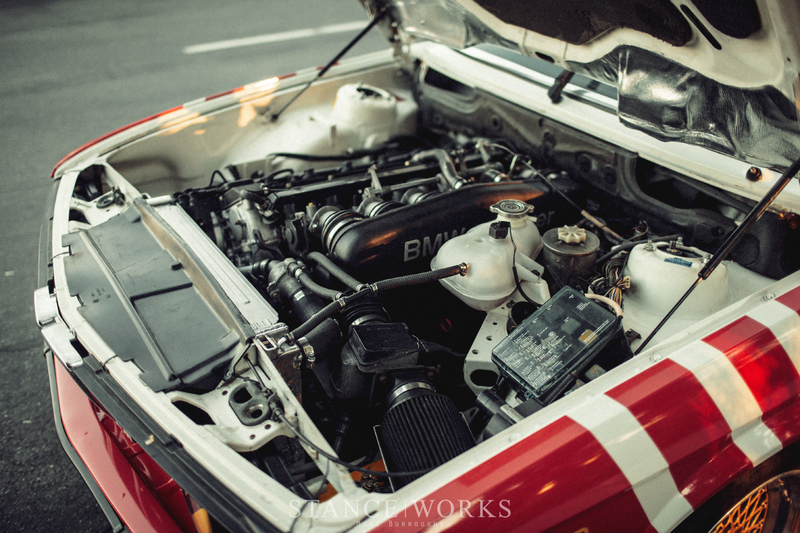 The entire interior was stripped of its sound deadener and adhesives, and painted factory Alpina white, as has been the trunk. 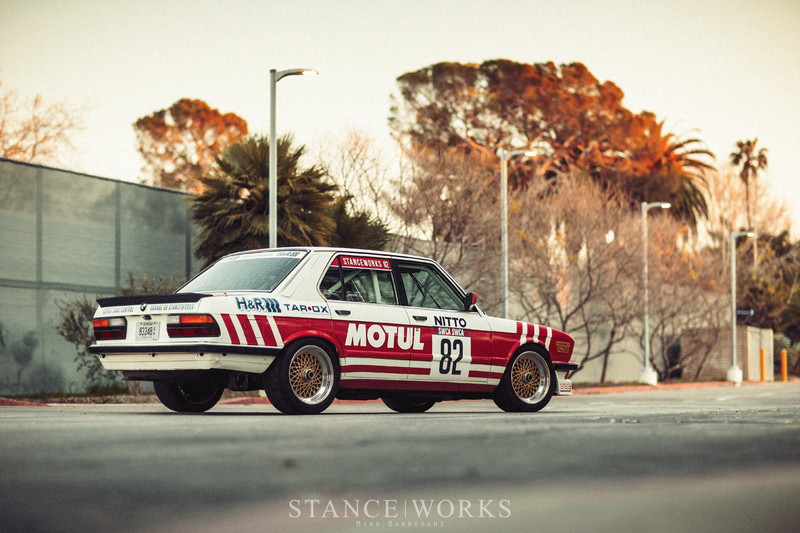 Lastly is the exterior, which features a one-off livery, penned in partnership with Motul to hark back to their fleet of '80s race cars. 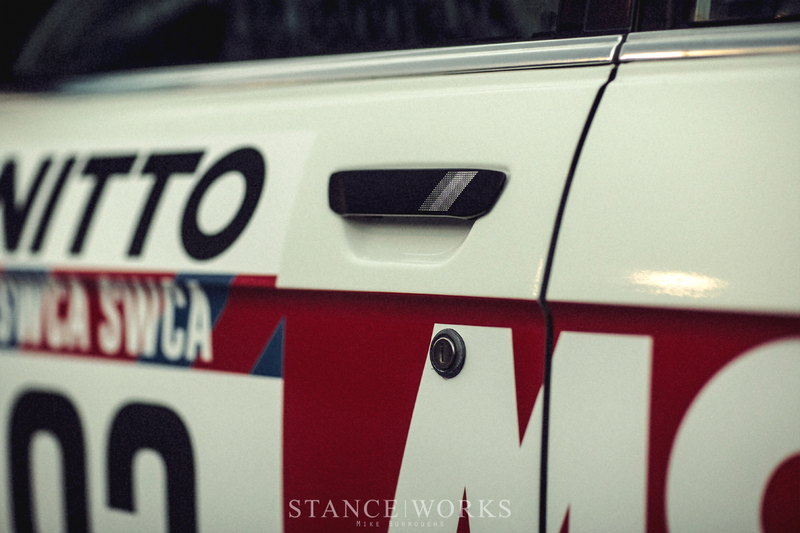 European bumpers have been installed front and rear, as well as a European air dam and corner lights. ABS blockoff plates replace the original fogs, as per the original race cars. 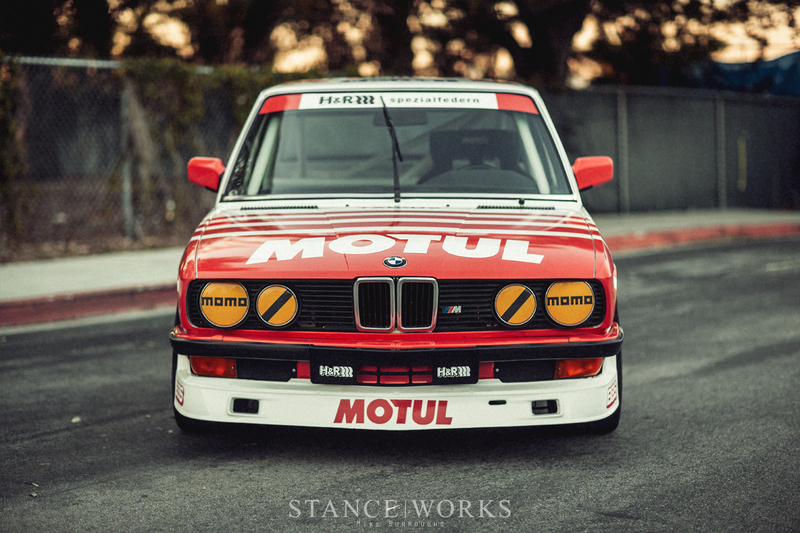 An Alpina air dam sits on the front end, and an E28 M5 rear spoiler sits perched atop the trunk lid. Euro headlamps and grilles finish out the front end. 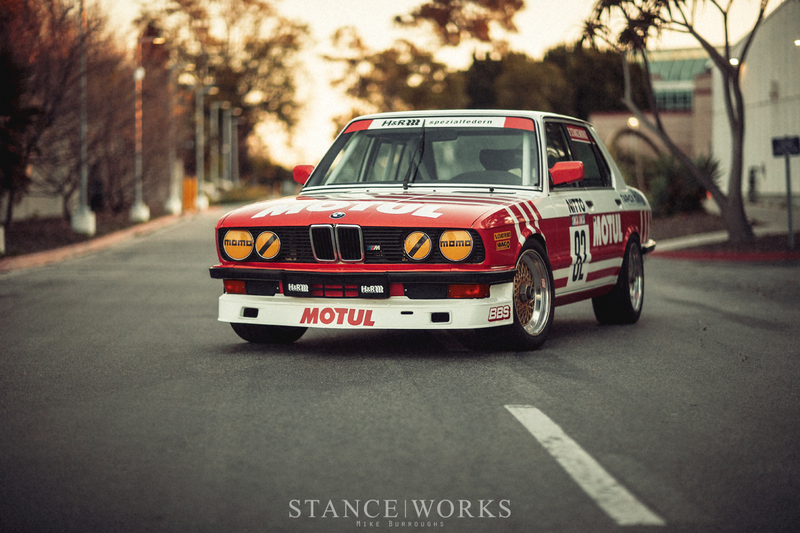 There are countless other mods and points of restoration to this car, and virtually nothing has been left unchanged. 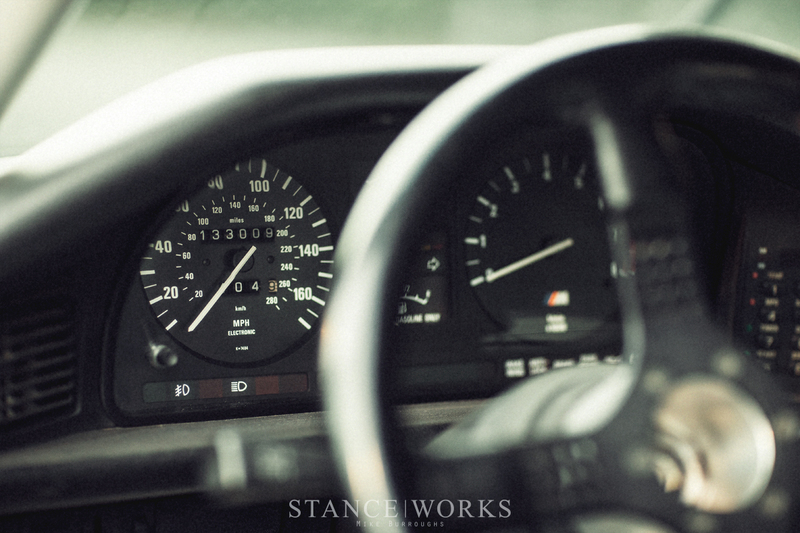 Overall, the car is in incredible condition, and drives better than any E28 on the road. 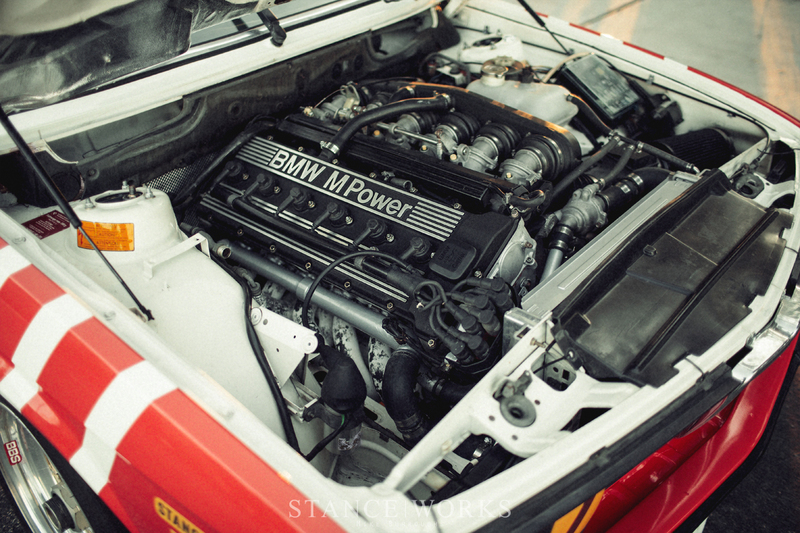 It needs nothing at all, and is ready to drive for years to come, or to be hammered on track relentlessly. I have put more than 6,000 miles on it since finishing the build, and it has been driven 3+ hours each way, to and from more than a dozen track events since completion. It's fit for track duty, anywhere, anytime.